Tomorrow Laurie Wisbrun of the Scarlet Fig will be blogging about Modern Holiday and giving away yet another copy of the book. Hooray! 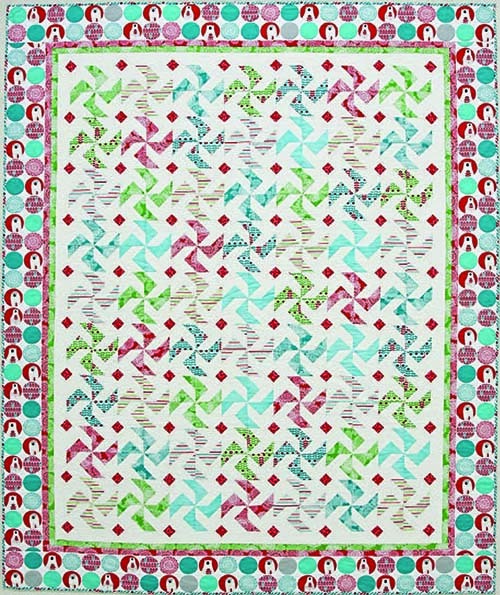 Laurie designs fabric for Robert Kaufman and I used her whimsical "Brrrr" collection to make a quilt called Snowfall! Gotta love those polar bears! In this case, the border really made the entire design complete. I loved the bears so much they inspired the label. Thanks, Laurie, for the great fabric. Don't forget to visit the Scarlet Fig for another chance to win! 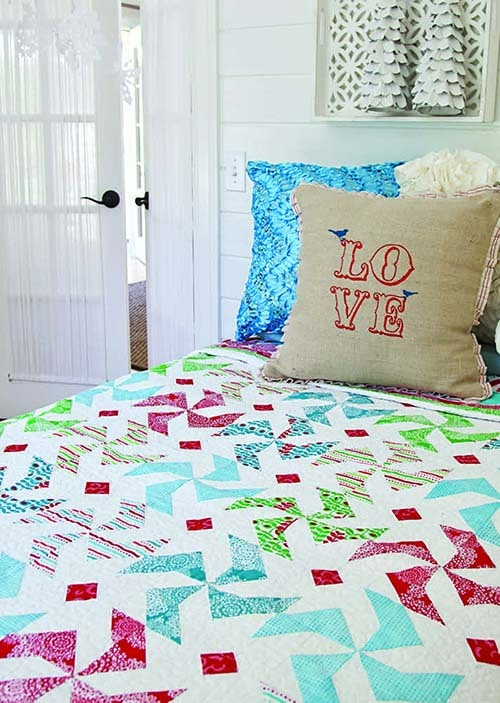 Your quilt is adorable! 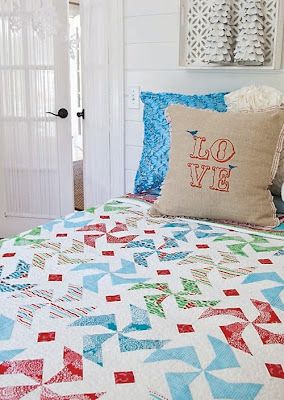 Great use of those cute fabrics! I love the bear label that is just about the cutest thing ever. Such a great idea, thanks so much for sharing this. 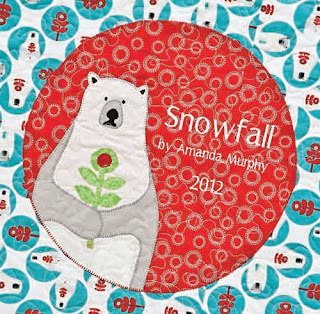 Love to make gift bags and a new quilt every Christmas. 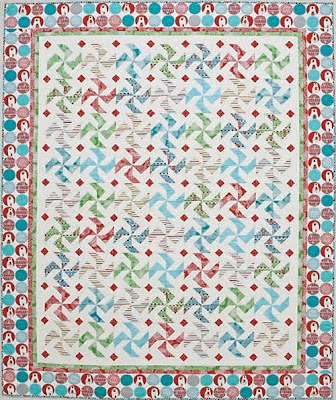 What a lovely quilt - the design is intriguing, with the way the whites also form a pretty block!